Explore Indow windows reviews to learn more about this new and innovative storm window or insert. The Portland, Oregon company makes interior window inserts with a number of different options. Their standard insert includes several innovative features that make this window insert worth a serious look. The compression tubing that serves as the insert frame is custom-made and sized to fit into any window opening. This includes window openings that are not perfectly square or plumb, such as those that might be found on a very old home that has settled and shifted over the years and has slightly misshapen window openings. The company also uses an acrylic glazing instead of the standard window pane, which allows for a bit more flexibility, but does not impair the quality of the view through the window itself. All in all, the company gets very solid reviews, both for their inserts and their customer service. The biggest issue for consumers may be the availability of a reputable dealer in your area. One final consideration is the downside of window inserts compared with actual replacement windows. The standard Indow windows cost $20 per square foot for the insert itself. Consumers will also have to pay for the cost to measure and install the windows. This might add $5 psf for the fully installed cost. Compare this to vinyl window prices, which run $40 to $90 per square foot fully installed. Fortunately, an entire home can be outfitted with the inserts in a matter of 2 to 3 hours, which is probably 1/3 the time of a normal replacement window installation. 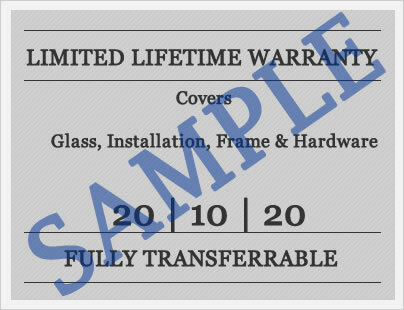 The Indow Windows warranty lasts five years from the date of the purchase and covers any defects in the materials or any workmanship issues. The company will repair or replace any defective windows that meet their guidelines. In addition, the compression tubing is warranted against damage from heat or cold or sun exposure for 5 years. The acrylic glazing is warranted not to change the light transmission more than 3%.